Thanks so much for stopping by this week! Great cabinet. So nice how you can see everything! 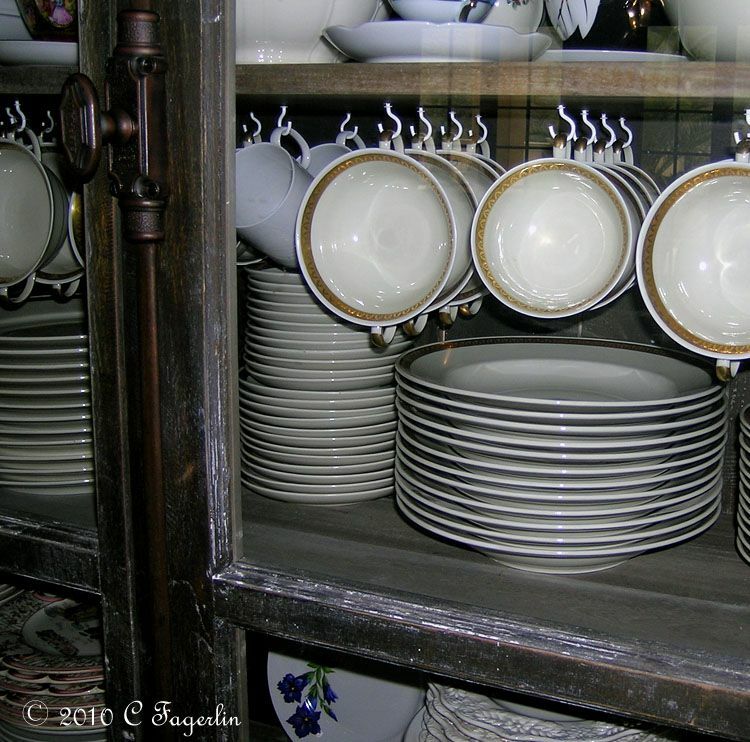 Let me count the dishes .....~~~~~~ :) Love this cabinet. You must have so much fun with it. A great place to display and find your many dishes. Beautiful cabinet! I'm looking for one just like that! Thanks for sharing! first at all, Congratulation for winning the High Tea. Your table was so beautiful. This cabinet looks very organized and decorative. Gorgeous idea to hang the cups on hooks. 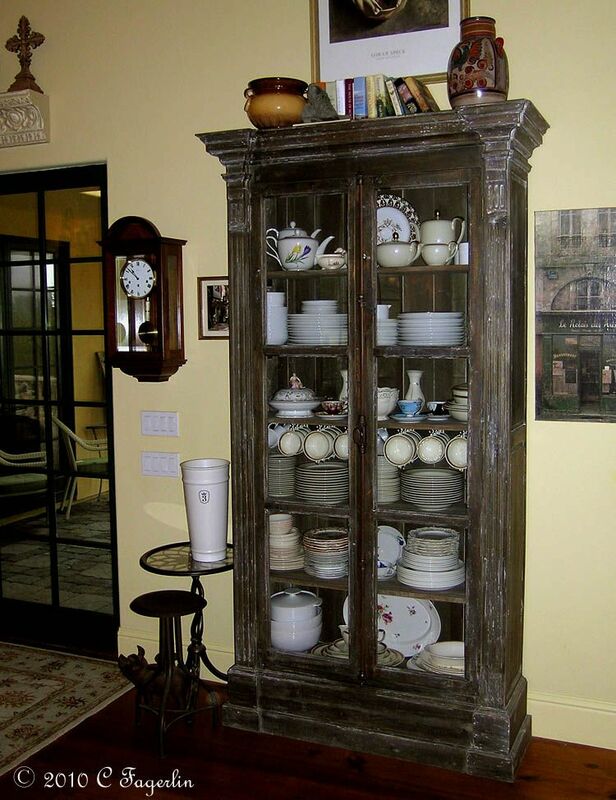 A lovely French cabinet ... looks authentic to me ... and very well organized !! Thank you for sharing it with us today at Volia! ... I hope you'll be back again with more of your Frenchness! How Cool!! Very sweet piece. Thank you for sharing it with us. Oh...drool! Love the cabint and how you hung the cups. It sure provides a lot of space which is an added delight, I'm sure. 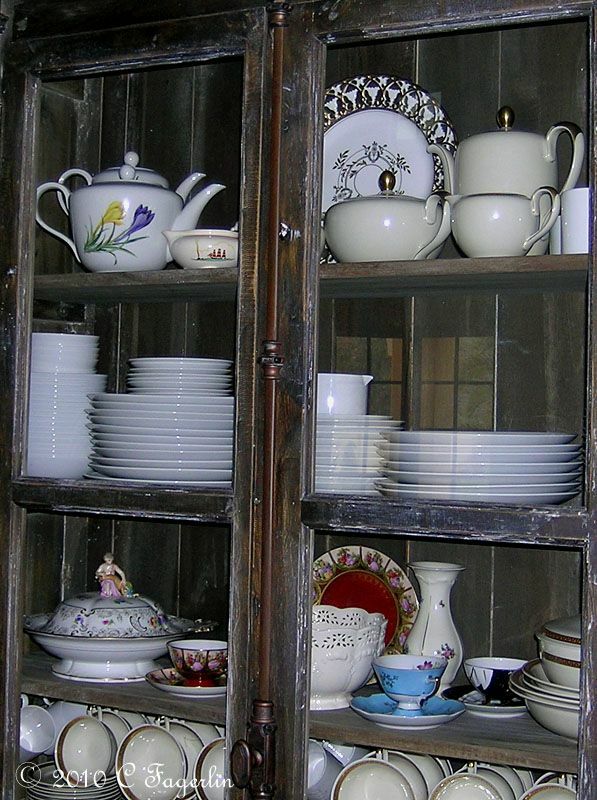 I am so pleased you all stopped by to drool over my cabinet, and yes I do really adore it!